Accurate calculations of process Cv’s, valve opening percentages, velocity, critical condition warnings, and predicted noise levels are some of the features provided by Allagash International’s Control Valve Sizing (CVS) Application. Calculation algorithms, methods, and equations are in accordance with international standards of ANSI/ISA-75.01.01 (IEC 60534-2-1 Mod)-2007, Flow Equations for Sizing Control Valves, as well as ANSI/ISA-S75-17 - 1989, Control Valve Aerodynamic Noise Prediction. 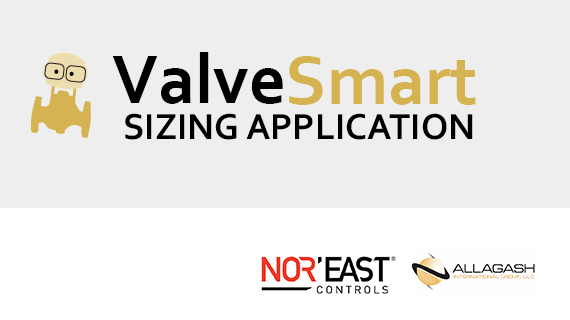 Allagash International’s Control Valve Sizing (CVS) Application automatically performs a correction of flow rate calculation, taking into consideration the resistance of installed fittings. © 2019 Allagash International. All Rights Reserved.